Buy online TC4424 Dual High-Speed Power MOSFET Drivers in India at low price from DNA Technology, Nashik. The TC4423/TC4424/TC4425 devices are a family of 3A, dual-output buffers/MOSFET drivers. Pin compatible with the TC1426/27/28, TC4426/27/28 and TC4426A/27A/28A dual 1.5A driver families, the TC4423/24/25 family has an increased latch-up current rating of 1.5A, making them even more robust for operation in harsh electrical environments. As MOSFET drivers, the TC4423/TC4424/TC4425 can easily charge 1800 pF gate capacitance in under 35 nsec, providing low enough impedances in both the on and off states to ensure the MOSFET's intended state will not be affected, even by large transients. 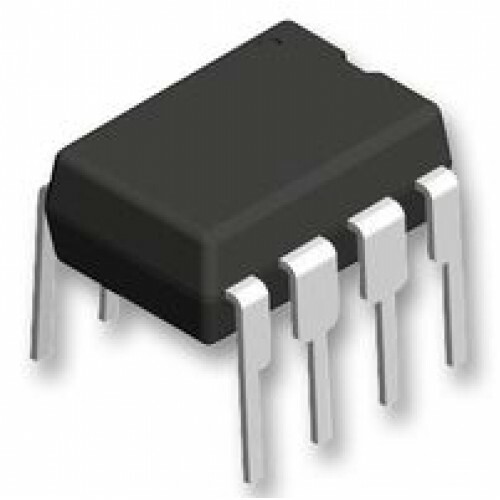 The TC4424 MOSFET Drivers inputs may be driven directly from either TTL or CMOS (2.4V to 18V). In addition, the 300 mV of built-in hysteresis provides noise immunity and allows the device to be driven from slowly rising or falling waveforms.